PAST OSCAR WINNERS – Some observations – PT 2. 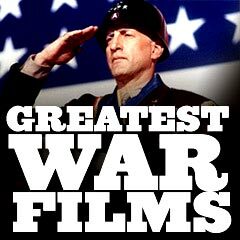 Well, World War Two was in full swing and America was now in it, so a war picture (or at least a flag-waver) was bound to win Best Picture. And one did. There were four of these nominated: Mrs. Miniver, Wake Island and The 49th Parallel were about the current conflict, and Yankee Doodle Dandy provided the flag-waving. I have always thought that Mrs. Miniver had more plot holes in it than a Swiss cheese and required more suspensions of belief than most features, but it certainly captured the spirit needed to promote mutual support between the Allies. Churchill loved it. Roosevelt loved it. In fact, everybody loved it, even the Nazis. Joseph Goebbels considered it a masterpiece of propaganda – and he was an authority on the subject. I thought This Gun for Hire, the brilliant film noir starring Alan Ladd and Veronica Lake warranted a mention somewhere – but no. Every once in a while the Academy members suffer what can only be described as ‘a meltdown’ and vote for someone at the expense of a seemingly certain winner. In 1943 they did it twice, although half the blame has to lie with the Academy. First of all, it beggars belief that Humphrey Bogart could be nominated for Casablanca and not win! It is equally staggering to see who it was who beat him. No, it was not Tracy or Cooper or Gable. It was a virtual unknown named Paul Lukas in a movie that was anything but fashionable. Henry Fonda was not even nominated for The Ox-Bow Incident. Neither was Joseph Cotten for Hitchcock’s terrific Shadow of a Doubt. The second travesty lies squarely at the feet of the people who nominate contenders. How could they not nominate Ingrid Bergman for Casablanca? Had they done so, surely Jennifer Jones could not have triumphed in the dreadful The Song of Bernadette. Although Casablanca was victorious in the Best Picture category and its director Michael Curtiz was also rewarded, it would appear that its wonderful cast contributed little or nothing to its success. Extraordinary. Double Indemnity and Since You Went Away were the exceptional films of 1944, far better than the sappy winner Going My Way. Double Indemnity in particular has certainly stood the test of time. The screenplay was first class, Billy Wilder’s direction masterful; Fred MacMurray gave the performance of his life and Barbara Stanwyck was perfectly cast, even though they made her wear a truly horrendous blonde wig throughout. The film was nominated for seven Oscars – and won nothing! Since You Went Away landed nine nominations but only won for Max Steiner’s dramatic score. Claudette Colbert was nominated for Best Actress and she was terrific also, but perhaps America had had enough of war and war stories by then. Then again this was, after all, America’s version of Mrs. Miniver, and that had swept all before it just two years earlier. The greatest travesty, however, revolved around the Best Supporting Actor and it concerned Edward G. Robinson. His truly memorable performance as the insurance investigator in Double Indemnity should have been rewarded with a nomination at the very least. If you have never seen this brilliant movie you should do so, if for no other reason than to hear his ’death by suicide’ speech. It is clearly shot in a single take and it is really something, worthy of a Supporting Oscar on its own. How Barry Fitzgerald could be even considered ahead of that is bordering on criminal. Incredible as it may seem, Robinson went through his entire career without receiving a single Oscar nomination. Not one! A picture about a drunk wins the Best Picture Academy Award. Terrific! It didn’t have a lot to beat, but The Lost Weekend was still hard going. A Tree Grows in Brooklyn was not even nominated – and it would most likely have won. It is worth noting that 1945 saw Robert Mitchum receive his one and only Oscar nomination, a Best Supporting nod for The Story of G.I. Joe – and he missed out. In the years to come he would give outstanding performances in so many fine films including – Out of the Past, The Night of the Hunter, Heaven Knows, Mr. Allison, The Sundowners and Cape Fear and not even be nominated! Without berating the Best Picture winner which was pretty good, 1946 was notable for the excellent movies that were not nominated. The other four nominees were Henry V, The Razor’s Edge, It’s a Wonderful Life and The Yearling. But the list of pictures that missed out that year is far more impressive: Hitchcock’s superb Notorious, David Lean’s poignant Brief Encounter, The Killers, The Big Sleep, My Darling Clementine and The Postman Always Rings Twice. Cary Grant and Ingrid Bergman should have been nominated for Notorious. Henry Fonda was snubbed yet again for My Darling Clementine and Lana Turner deserved a nod for ‘Postman’. Rosalind Russell was a hot favorite to win Best Actress for Sister Kenny, but Olivia knocked her off. Even worse was to come next year for Miss Russell. A year of surprises. 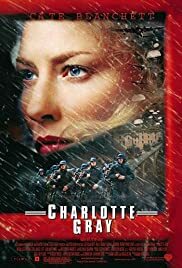 Gentleman’s Agreement should never have won Best Picture over Crossfire. Colman was given what amounted to a lifetime Oscar for his average performance in A Double Life. Greg Peck deserved it for Gentleman’s Agreement. The huge surprise was Rosalind Russell, the odds-on ‘certainty’ to win for Mourning Becomes Electra, must have almost fell out of her seat when second-rate actress Loretta Young beat her to the Best Actress award. Why? Who knows? Not being a fan of Shakespeare in any form, much less in films, I cannot for the life of me see how this stilted production of Hamlet was judged to be better movie fare than The Treasure of the Sierra Madre. Maybe it was just Hollywood trying to prove to the world it was sophisticated. Once again ‘Treasure’s’ director John Huston got the nod but his picture did not. Anyway, Howard Hawks’ Red River was light years better than either of them but, guess what? Not nominated. For that matter, Laurence Olivier was dead lucky to win Best Actor. If John Wayne had been nominated for Red River he would have made a far more deserving winner. A worthy Supporting Actress winner, however, was Claire Trevor for Key Largo. She was a greatly under-rated actress, all but forgotten these days. Key Largo was a fine film with strong performances from Bogart and Edward G. Robinson, but especially from Miss Trevor. Robinson could easily have earned himself a nomination but he just never seemed to be in favor. HARRISON FORD – from carpenter to super star. Poor “Bogie,” had to wait until “African Queen,” to get his Oscar. was his best movie. “My father is Fred C. Dobbs.” I have no opinion. In Australia one TV channel or another is bound to trot out ‘The Song of Bernadette’ at Easter – presumably to annoy those of us who stopped believing in miracles at about the same age we stopped believing in Santa Claus and the Easter Bunny. Bogie was good in a great many movies. My favourite is, of course, ‘Casablanca’, but it is closely followed by ‘To Have and Have Not’, ‘The Caine Mutiny’, ‘The Treasure of the Sierra Madre’ and ‘Key Largo’. Robinson was just plain ripped off right down the line.